It seems as though sometimes cracks just appear on your windshield like magic. Perhaps your vehicle was paid a visit by the windshield crack fairy overnight. But there are other times when you can totally account for them. Like when you saw that rock fall from the dump truck in front of you, bounce twice on the road, and smack right on your windshield. Regardless of how you got that crack on your windshield, it needs to be fixed right away. 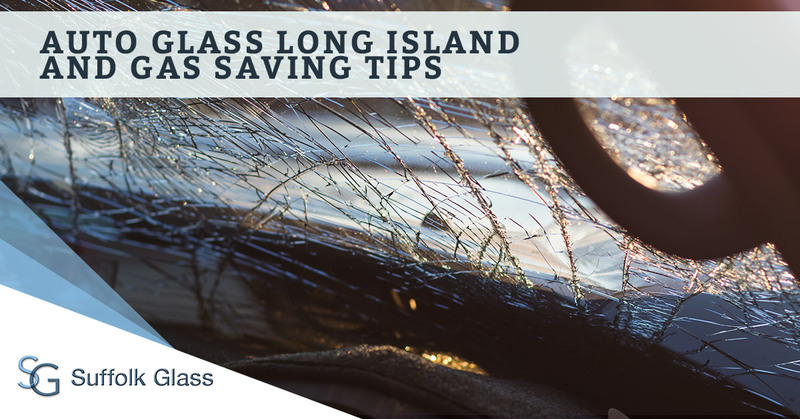 It is in your best interest to call Suffolk Glass, your auto glass service in Long Island, as soon as possible. 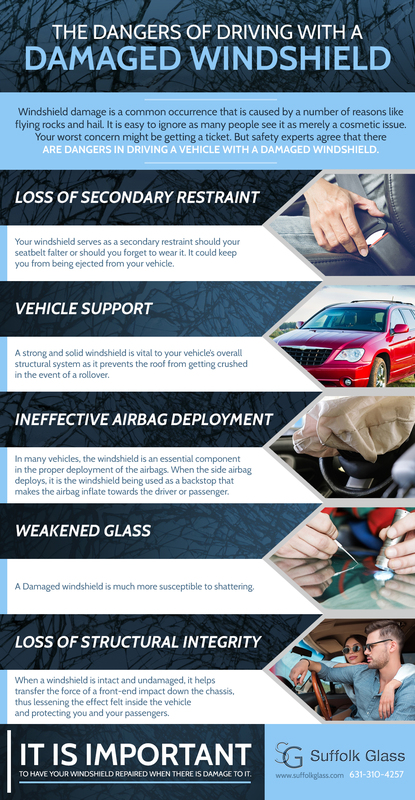 In the meantime, here are the top causes of windshield damage. From rocks that are kicked up by other vehicles to rocks falling from dump trucks, damage to your windshield can happen in an instant as you are driving down the road. In fact, you often never see the debris hit your windshield. If anything, you are startled by the loud smack on your windshield and immediately know what just happened. Even if the debris only causes a small pit, you can bet that it will get bigger with time. By far, the biggest catalyst for windshield damage is when you are involved in an accident. Whether it is a major accident or just a minor fender-bender, you are likely to suffer windshield damage. After even a minor collision, you should have your windshield checked out by a professional. In most cases, thieves break the side windows to gain access to your vehicle. However, in the process, the windshield often gets damaged. There are other times in which vandals simply damage your windshield out of spite or just for the fun of it. Unfortunately, in most cases, you will need to have your windshield replaced due to extensive damage. Hail damage is so prevalent that it has its own designation by most insurance companies. Glass contract when it is cold and expands when it heats up. And while your windshield is designed to minimize thermal strain, extreme fluctuation in temperature will cause damage. For example, throwing boiling water on your windshield to melt off the ice is a definite no-no. If your windshield is incorrectly installed, it can lead to cracks and other damage. For example, a loose windshield will cause high levels of vibration that could crack it. Always have your windshield installed by a seasoned technician from an accredited company. The ever-changing weather is often to blame for windshield damage. A gust of wind can cause a loose tree branch to snap and fall on your windshield. High winds can also whip up other debris and send it to your windshield. These types of accidents can be minimized by keeping your vehicle stored in your garage when not in use. If your windshield has been damaged by any of the causes above, there is a chance it can be repaired. If not, then you will have to have it replaced. Call Suffolk Auto Glass today.